Bugs & Critters? LOCKED OUT! Want a FREE, No Obligation Estimate? 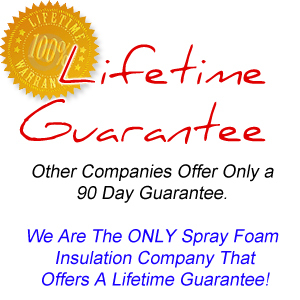 Kelly Spray Foam Insulation is The Most Recommended Spray Foam Insulation Company from Jupiter – West Palm Beach – Fort Lauderdale – Miami – Key West – Key Largo – Key Colony Beach – Islamorada and all of South Florida. Spray Foam Insulation for the home is what Kelly Insulation is famous for. Our process is like no other. First we remove all debris from your attic. Then we vacuum the attic and wipe down any mechanical devices, (A.C. units, air handlers, water heaters etc.) Once your attic is all clean and unwanted items are removed, we then fog your attic with an anti-microbial product that kills all mold, viruses, fungi, and allege throughout your attic. As a bonus we will also fog your AC ducts for free. You’ve never breathed such clean, fresh air. This will aid in stopping the spread of cold and flu like virus throughout your home. After all that is done we now spray five and a half inches of open cell foam to the underside of your roof deck following the roof line all the way down to the exterior wall. Foaming off all ventilation to you attic now gives you a closed attic assembly. The attic will become a semi conditioned area. Since your attic is now sealed off it has less of a chance for pest to enter the attic, (spiders, insects, rats, squirrels, birds, raccoons, snakes), we’ve seen it all. A sealed off attic stops rain water intrusion and keeps your attic clean. Now that the spray foam insulation is at the top of the attic it puts your dew point at the roof level, not the drywalled ceiling. Therefore no mold in attic or walls of your home. The energy savings of spray foam over the best level of fiberglass insulation is about four times.